Approximately a billion people live a disability in the world. These range from intellectual disabilities to physical limitations that require the use wheelchairs and other devices to live on a day-to-day basis. Globally, persons with disabilities comprise the largest minority group in the world. Barriers such as inaccessible buildings, programs that are not inclusive, and lack of disability awareness make it difficult for persons with disabilities to be engaged, productive members of their communities. 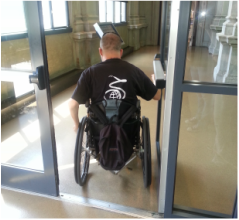 Global Abilities conducts site assessments and provides recommendations to become compliant with the Architectural Barriers Act (ABA) and the Americans with Disabilities Act (ADA) Accessibility Guidelines. 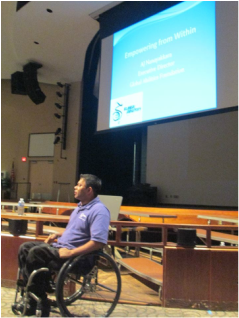 Global Abilities conducts disability awareness events at high schools, universities and healthcare organizations and companies to increase awareness and understanding of individuals with disabilities.